With online business, there’s no flash-in-the-pan success. While the 1990s and early part of the millennium might have yielded a huckster here and there, today’s online business is different. Online success will likely come through earnest work and dedication to the business. Part of online success involves good maintenance. Making sure your online material is up to snuff and ready for any online business application is absolutely vital to your business’ success. You simply have to make sure that your online business material is running in top order all of the time. The thought of the work required in keeping your online material working correctly might elicit a groan or two from you. But it’s no different than getting your college term papers in on time and planning for a big anniversary well in advance: you have to anticipate every possible outcome if the given situation is going to be successful. Online business is a vehicle for success that requires the practitioner to keep tweaking the business mechanisms to ensure they stay in top working order. There really is no other way at all. If you’re in online business, you’re probably familiar with at least a few of these practices: learning new SEO techniques (search engine optimization techniques), checking your keyword density, and even getting hip to PPC advertising techniques (pay-per-click advertising techniques). Those are all part of the online business success maintenance rigours. But there are other simpler techniques to get a grip on. With online business success, getting into the mode of regular maintenance is what is on the agenda. If you don’t get into the habit of regularly troubleshooting your issues digitally, you can watch your online enterprise disintegrate right before your eyes. The good news is that these days you can do it all yourself, from just about any digital interface you have. To ensure that your web site is working to generate online traffic organically, you have to make sure that all of the internal mechanisms of your web site are working correctly. Doing a sweep of your Meta tags once in a while can help here. There might be a link that’s not functioning properly or a page that isn’t being shown properly online. It’s up to you to fix this stuff at the Meta level—doing so will make sure it all works and is opening the client traffic channels properly. 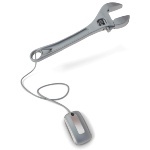 This sort of maintenance also includes your on-page techniques: your interlinking from one page to another, your links to product order pages, etc. Again, the matter of having all of your client traffic channels open is essential. Making sure that all on-page techniques are functioning in terms of interlinking and facilitating easy linking from one page to the next on your web site is integral to this. Having a properly functioning web site is how SEO techniques work to the optimal level and why they need to be operational 24-7. The old school deal at the auto shop was one of either doing just a repair to one part or a complete overhaul of the car engine. In online business, there’s not much of a difference. More often than not you just have to make sure every mechanism you have in operation on your web site is working all of the time. But sometimes you have to do a complete overhaul. Flushing out all of your old competitive keywords in favour of new ones, tightening your keyword density, and redoing your web site under new SEO techniques or design trends can only help. As you can tell, online business is a never-ending process of improvement. It can be tough, tedious, and downright exhausting. But once you get in the habit of tightening the screws of your online material, you can keep your chances of online success high at all times.